Ginseng Oolong Tea:The tea is derived from a perennial plant root. The major health benefits of tea are due to the naturally occurring chemicals called ‘ginsenosides’ that are present in this root. The health benefits include a reduced risk of developing cancer, PMS relief, weight loss , improvement of digestive disorders, and a boosted immune system, as well as improving signs of mental distress, asthma, arthritis, and sexual dysfunction. Lychee Rose Black Tea: Infused with the fresh nectar of lychee fruit and blended with roses this Tea brews a sweet and fragrant cup Lychee Rose Black Tea is high in vitamin C and trace minerals which improves facial complexion, relieves stomach bloatedness and eases menstrual pain. It's good for circulation, helps with anemia and memory issues. 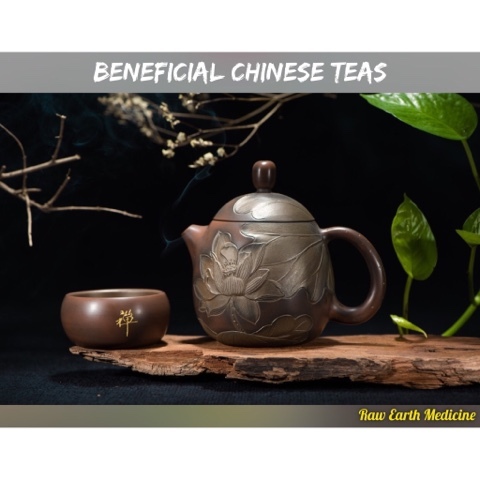 Pu'er Tea: Although Pu'er Tea has a lower level of antioxidants than Green Tea, Chinese people credit it with many health benefits, especially weight loss, reduction of serum cholesterol, and cardiovascular protection. Unlike other teas, which get stale over time, pu-erh can mellow and improve with age like fine wine. Some pu-erh teas are more than 50 years old. Fruit Tea: There are many benefits of drinking Fruit tea as it is jam-packed with assorted vitamins, minerals and antioxidants. It is specifically high in vitamin C which makes Fruit teas ideal for warding off colds and other illnesses by keeping the immune system strong and healthy. Through out the centuries Chinese Medicine has long used teas for helping to cure disease as well as prevent it. In Chinese Culture teas have long be used for ceremonial purposes as some teas carry long ancestral roots. Tea can add many benefits to your health so as our days get longer its nice to take a moment to enjoy a delicious and relaxing cup of tea knowing your body and mind will benefit. Marinate Filling for 2 hrs then sauté in pan and set aside. Sprinkle the yeast over the warm water in a small bowl. After a few minutes, the yeast will begin to foam and bubble then set aside. In a large bowl, mix flour, sugar, and baking powder. Make a well in the center and add warm coconut/Almond milk, oil, and activated yeast. Work the dough well then using a floured board knead until the dough becomes smooth, soft, and pliable, about 5 to 10 minutes. Lightly oil the dough ball. Cover with plastic wrap in a bowl and allow the dough to rise undisturbed for 40 minutes to 1 hour. It should double in volume. Do not overcrowd your steamer. 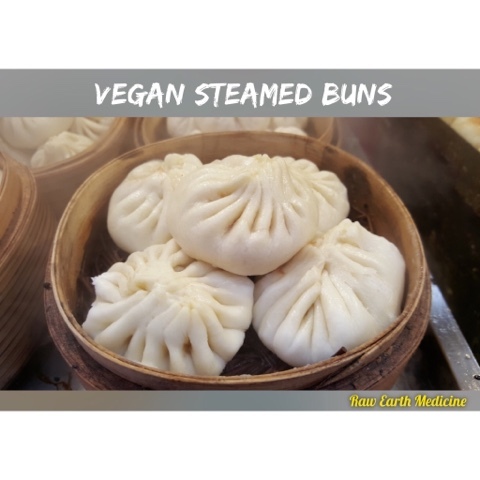 Steam the buns in batches if necessary. Steam for 12 to 15 minutes, then remove the buns from the heat and serve them warm. Progressing to light resistance such as small hand weights or resistance tubes in order to begin rebuilding your lost muscle mass. Adding resistance gradually to avoid injury or straining . Slowly progressing to adding more resistance, moderately, include more heavier free weights and weight machines. Start including more functional movements into your exercise program. For example, squats and step-ups will to build up atrophied quadriceps muscles, as well as bicep curls and overhead presses to strengthen atrophied muscles in the upper body. Recovering from an injury takes patience, time, proper physical therapy and nutrition. If you do the work, in time you will see the results and be able to come out of it even stronger and healthier! 1. Combine woodear and morels mushrooms in a medium saucepan and cover with 1 1/2 quarts water. Bring to a boil over high heat, then remove from heat and let rest 10 minutes while mushrooms rehydrate. Remove mushrooms with a slotted spoon and set aside. Add fresh mushroom shiitake mushrooms, 1-inch of scallions, garlic cloves, onion, and kombu to pot. Bring to a boil and reduce to a simmer. Cook for 20 minutes. 2. When broth is simmered, strain through a fine mesh strainer and return to pot, discarding solids. Add soy sauce and mirin and season to taste with salt. You should have about 1 quart of broth. Keep warm. 3. Heat 1 tablespoon Coconut oil or water in a wok or a 12-inch skillet over high heat until lightly smoking. Add peppers and stir-fry until lightly completely tender, about 2 minutes. 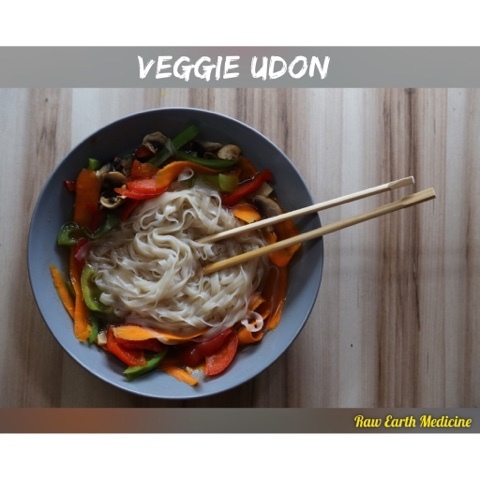 Savory and hearty this Veggie Udon is extremely flavorful and good for you! 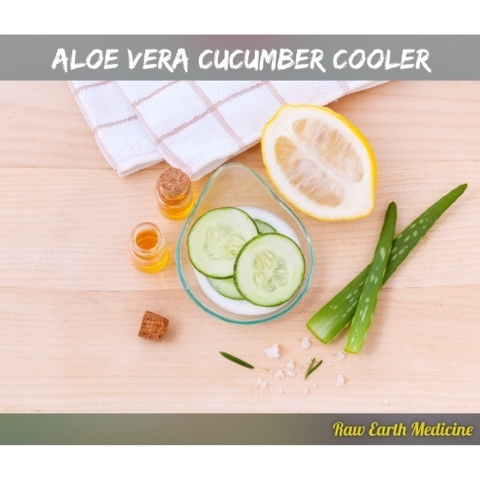 Mix Aloe Vera and Maple Syrup (optional) with Water then add the Juice of one Lemon, Lemon Slices and Cucumber slices to the Water. Chill in the fridge for 30 minutes before serving! I keep this on hand in my fridge for a delicious flavored water when I don't want to drink just plain old water! It's very refreshing and cooling on a hot day! Drinking aloe vera juice is a very healthy habit, as it can aid in weight loss, digestion, and immune function. Aloe vera gel is a superfood packed full of vitamins and minerals. It contains B complex vitamins B1, B2, B6 and B12 as well as vitamins A, C and E. It is a good plant source of folic acids too. Aloe vera aids in digestive health by balancing stomach acids, thereby helping your body to absorb the nutrients you consume. It also has laxative qualities, so if you ever have trouble with constipation, drinking a little juice from the aloe plant will help to get things moving again. Oh how I use to HATE bathing suit shopping, even when I was 20lb lighter than I am today. Being an overweight elementary/middle school kid means you get a lot of negative comments about your appearance from others because it's the easiest and most obvious thing to make fun of you for. Those comments don't leave you very easily and it can really cause huge body image issues. Someone once said "she would be really hot if she could thin out her stomach and hips" No matter how thin I got I still had these hips and curves that were considered too big to be attractive. Well, at least I thought so because of the comments that stayed with me. I over worked out and ate a very restricted diet that I thought was healthy that eventually got me to my goal weight! . Once my accident happened, I couldn't maintain my vigorous fitness routine and eat the low carb low calorie diet, that kept me tiny! 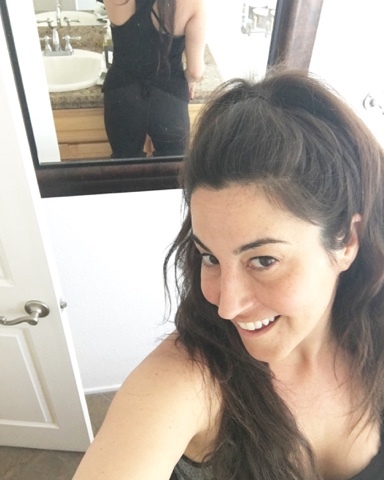 I had no choice but to fix my relationship with food and my body image in order to heal my body and overcome the challenges recovering from the accident would require. Through eliminating processed foods, chemicals and animal products my relationship with food changed and so did my outlook on my appearance. My only focus was feeding my body to heal and be able to regain my physical abilities and it didn't matter if my hips were too big, it mattered that they were able to support me to stand. It didn't matter if my stomach gained a little fluff, it mattered that the muscles underneath would fire up again and help me to stand up right. My food became my medicine and my workout became my physical therapy, to support me and help me heal not to make me hot enough for others to approve of me. I stand here today proud of my beautiful body that's getting stronger every day! I've been on multiple vacations in the last 4 years and had to use a scooter to get around, now I'm preparing for a major trip overseas and my plan is to walk it all but even if I need the cane here and there it's still a huge victory for me and this amazing body of mine! Change your relationship with food and you will love your body! Add Chili Oil, Green Beans, Eggplant, Potato and All spices to the bottom of the pot. Sauté until eggplant starts to sweat. If you do not want to use oil, put an inch of vegetable stock or water in the bottom of the pot, bring to a boil then add veggies and this will steam fry the veggies without oil. 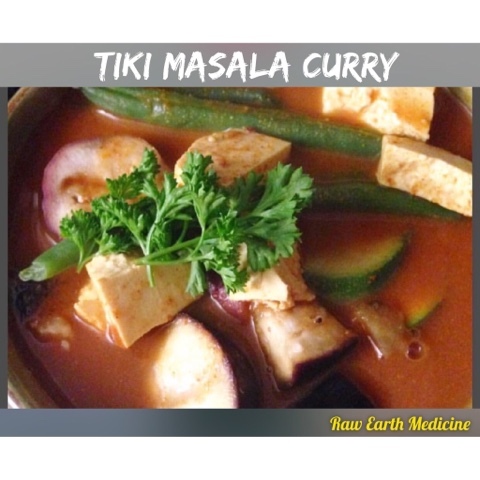 Add Vegetable Stock and Coconut Milk and bring to boil, then lower to a simmer and add tofu. Cover for 2 minutes then stir and serve. This recipe should take 20 minutes to make! It's nutritious and delicious!